What is the Amazon Echo Spot and Why You Need One! 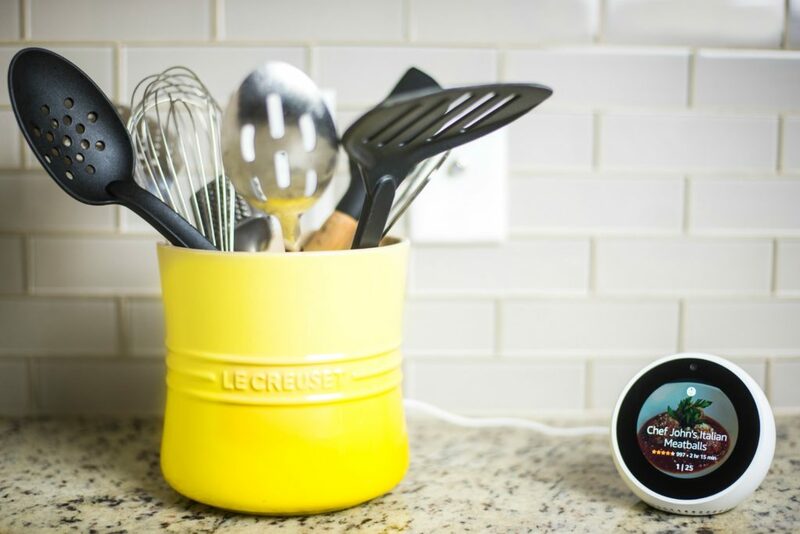 Home » Lifestyle » What is the Amazon Echo Spot? What is the Amazon Echo Spot? What is the Amazon Echo Spot? This Amazon Echo Spot review will take you through the key features of this exciting new product from our sponsor, Best Buy. Time. It’s one of those things that there never seems to be enough of and something that you can’t buy. As a busy, working mom I try my best to do it all. I want to do all the things – be the best mom, best business-owner, best wife, best friend…best everything. But in order to stay sane and be even just good at all of them you need help. Even with a helpful spouse, it can be hard to do it all. Which is why I’m not too proud to look for and find help. While I can’t afford a real-life assistant, I was able to find the next best thing with the Alexa and the new Amazon Echo Spot. But what is the Amazon Echo Spot? Read on and I’ll share all of the amazing features and why no home is complete without one! 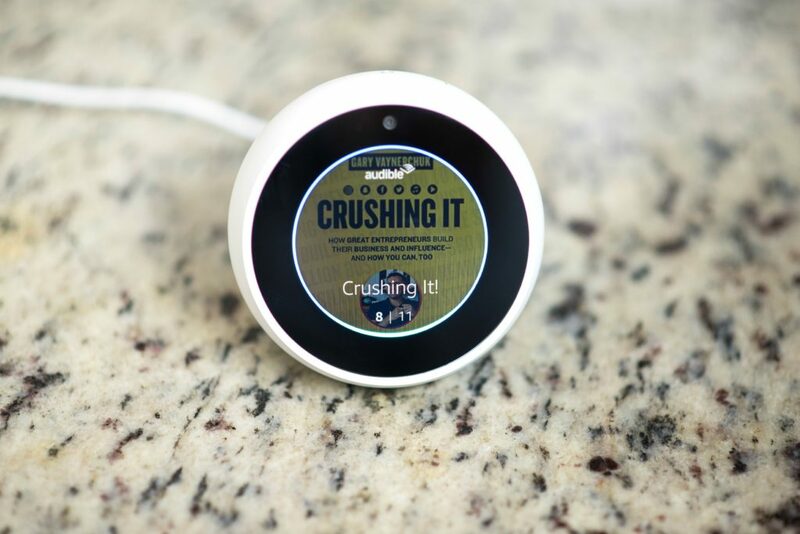 In a nutshell, the Amazon Echo Spot is the newest smart speaker connected to everyone’s favorite virtual assistant, Alexa. Like the other Alexa enabled home assistants, this updated model features a smaller profile than the original Echo or Show with a sleek, alarm clock like-style. While we have other Alexa-enabled devices all over our house, I find with the camera on this model that the Echo Spot is best suited for the kitchen. 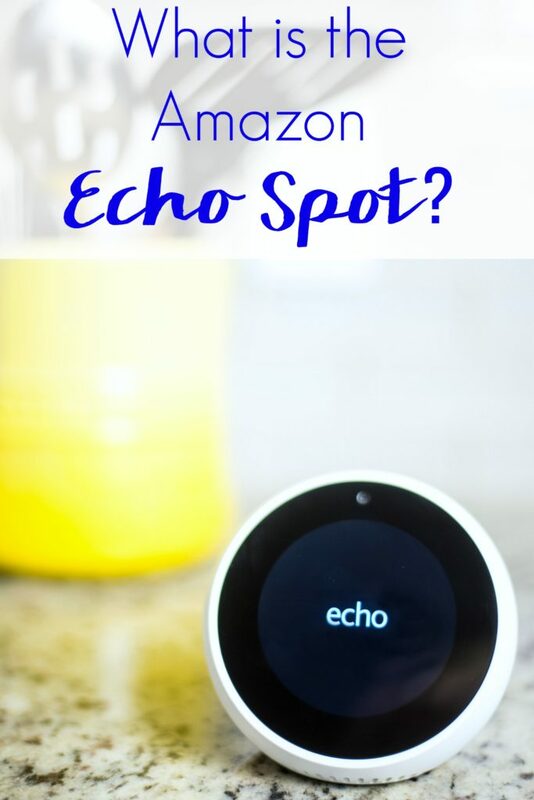 For our family and I know many others, it’s the hub of the home and most likely connected to other rooms like the family room so there’s a lot of going on there that allows you to use the Echo Spot to its full potential. Unlike my kids, Alexa always listens to me. From the time I wake up and say good morning to Alexa and she turns on the lights in the family room until I tell her goodnight and she turns off the lights and/or the TV at the end of the day, she’s on top of making my life easier. Washing your hands when the doorbell rings? Just ask Alexa to show you the front door and if you have a smart video doorbell, you’ll be able to see who’s knocking and whether or not you need to interrupt your task. Alexa also works with other smart devices and can operate your lights, show baby monitors, adjust your thermostat, lock your doors, and more! I get the most use out of the Echo Spot while cooking dinner. It’s great to be able to ask Alexa questions on other devices but to actually see the information on the screen is so much more convenient. If I want to try out a new recipe, I can see all of the steps on the screen. If I need measurement conversions or possible substitutions, it’s right there. Did I run out of something? Alexa can add it to my shopping list. I really like that I can set multiple timers on the Echo Spot and actually see the status of each timer without asking for the name of a specific timer. For example, when I’m making pasta I can set separate timers for pasta and bread and see them both and figure out when dinner will be ready based on it. When dinner’s almost ready, I can use the Echo Spot as an intercom to let everyone in the house know. Or, I can use the drop in feature to call just the girls room and let them know to start washing their hands. But the Echo Spot doesn’t just call inside your home, you can also call or video call almost anyone, hands-free with the Echo Spot, Echo Show or Alexa App. You can get caught up on current events by asking Alexa to read the news or watch video flash briefings, see song lyrics, the weather forecast, or do some online shopping. 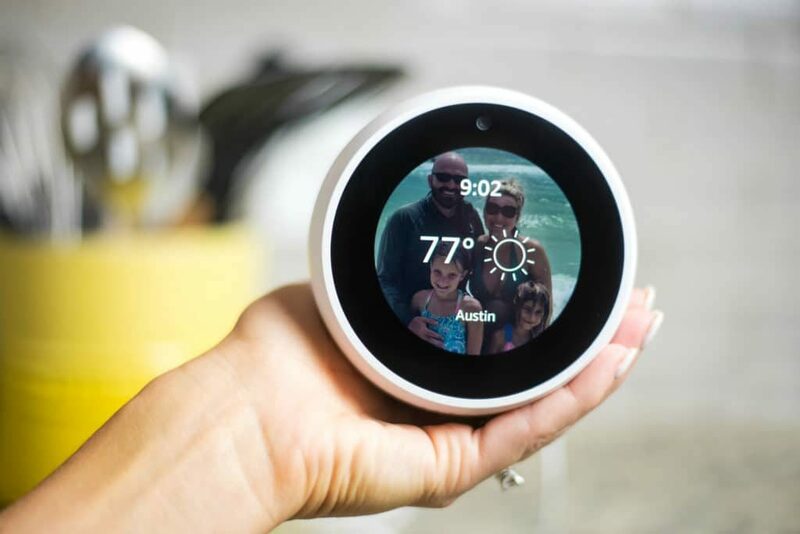 The Echo Spot can also connect to other apps and stream music or books from Pandora, Spotify, TuneIn, iHeartRadio, and Audible. Alexa currently has tens of thousands of skills and she’s always getting smarter and adding new features to totally transform your home and life! See how amazing the Amazon Echo Spot is and why you need it for yourself in this video! You can grab your own Amazon Echo Spot to help with your busy life from Best Buy for $129.99! Now that you know what is the Amazon Echo Spot, what feature are you most excited to try? Let’s continue the conversation on Facebook here.